BBC Media Action promotes and protects high quality journalism and journalists around the world, supporting media institutions and strengthening public service broadcasting. It works with professional and citizen journalists where media freedom and freedom of speech are under threat, raising public awareness of and people’s ability to understand their rights. DW Akademie is Germany’s leading organization for international media development, offering training and consulting for a wide range of partners and clients. It also offers an internationally-oriented Master’s Degree covering media and development, journalism, communication science and media management, as well as cross-media training for young journalists, including an internationaltraineeship conceived specifically for young journalists from regions to which it broadcasts. Equal Access‘ mission is to “create positive change for million of underserved people in the developing world by delivering critically needed information and education through innovative media, appropriate technology and direct community engagement.” It is headquartered in San Francisco with a listening audience of more than 90 million across Asia, Africa, and the Middle East. Equal Access creates customized communications strategies and outreach solutions that address the most critical challenges affecting people in the developing world. Fondation Hirondelle is a Swiss non-governmental organisation made up of journalists committed to creating independent media in war zones and other crisis areas. Founded in 1995, Fondation Hirondelle works in many countries, supplying information where it’s missing, countering and correcting rumours and fighting propaganda. A main focus is providing excellent election coverage, including on-air forums where the public can debate issues key to national and local elections. Freedom House performs two major surveys every year—Freedom in the World, and Freedom of the Press. 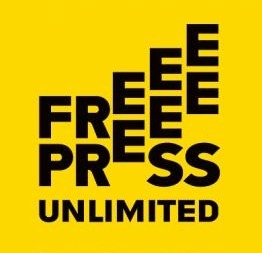 Along with IREX’s MSI and Reporters Without Borders’ Press Freedom Index, Freedom of the Press is one of the essential indexes of press freedom worldwide. Freedom House also does some on-the-ground media development through its Internet Freedom Initiative and other efforts. IWPR gives voice to people at the frontlines of conflict and transition to help them drive change. IWPR empowers citizens and their communities to a make a difference – building skills, networks, and institutions, supporting development and accountability, forging peace and justice. Working in three dozen countries,IWPR’s innovative programs are crafted to respond to the needs of the people they serve. Projects prioritize locally informed objectives and lead to sustainable outcomes. Beneficiaries include citizen and professional journalists, human rights and peace activists, policymakers, educators, researches, businesses, and women’s, youth, and other civil society organizations and partners. ICFJ has worked with more than 75,000 professional and citizen journalists and media managers from 180 countries. Aiming to raise the standards of journalism,ICFJ offers hands-on training, workshops, seminars, fellowships and international exchanges to reporters and media managers around the globe. ICFJ is one of the largest U.S. implementers of media development programs. International Media Support is a non-profit organisation working to support local media in countries affected by armed conflict, human insecurity and political transition. In more than 30 countries worldwide, IMS helps to strengthen professional journalism and ensure that media can operate in challenging circumstances. Internews is an international media development organization whose mission is to empower local media worldwide to give people the news and information they need, the ability to connect, and the means to make their voices heard. With administrative offices in both the US and Europe, Internews’ work spans the globe, working with local partners to ensure its programs reach the most information-poor and disadvantaged communities. IREX is an international nonprofit organization “providing leadership and innovative programs to improve the quality of education, strengthen independent media, and foster pluralistic civil society development.” Media development is only part of IREX’s activities, but it is one of the largest U.S. implementers of media development programs. IREX also publishes the Media Sustainability Index (MSI), which provides in-depth analyses of the conditions for independent media in 76 countries across Africa, Europe, Eurasia, and the Middle East. IREX Europe is a nonprofit, nongovernmental organization providing innovative programs to improve the quality of education, strengthen independent media, foster pluralistic civil society development, and reduce conflict. The IREX Europe approach emphasizes partnerships with local development organizations to expand capacity, build sustainable institutions and affect change through training, partnerships, education, research, and grant programs. The Media Diversity Institute (MDI) is a London headquartered international NGO that exists over 15 years now with the branch office in New York City, and regional offices in the MENA region. We work on inclusive journalism, making sure that voices of all people are heard. The Panos Network is a dynamic global partnership of six independent institutes held together by a common mission and set of values. The institutes work to ensure that information is effectively used to foster public debate, pluralism and democracy. The regional institutes are: Panos Caribbean, Panos Eastern Africa,Panos Paris, Panos South Asia, Panos Southern Africa, and Panos West Africa. The Thomson Reuters Foundation has trained over 11,000 journalists worldwide, enhancing ethical and professional standards in journalism across more than 170 countries. With its program, TrustMedia, the Foundation travels to the most remote areas of Asia, Africa, Eastern Europe, Ruassia, and Brazil, shaping free media by bringing its knowledge to local journalists and demonstrating how to report accurately and objectively on everything from elections and climate change to health crises, women’s rights, and corruption. The U.S. Institute of Peace is funded by the U.S. government and managed by a board of directors that is appointed by Congress. USIP’s media programming is part of its larger goal to promote peace worldwide, particularly through its Media, Conflict, and Peacebuilding initiative.